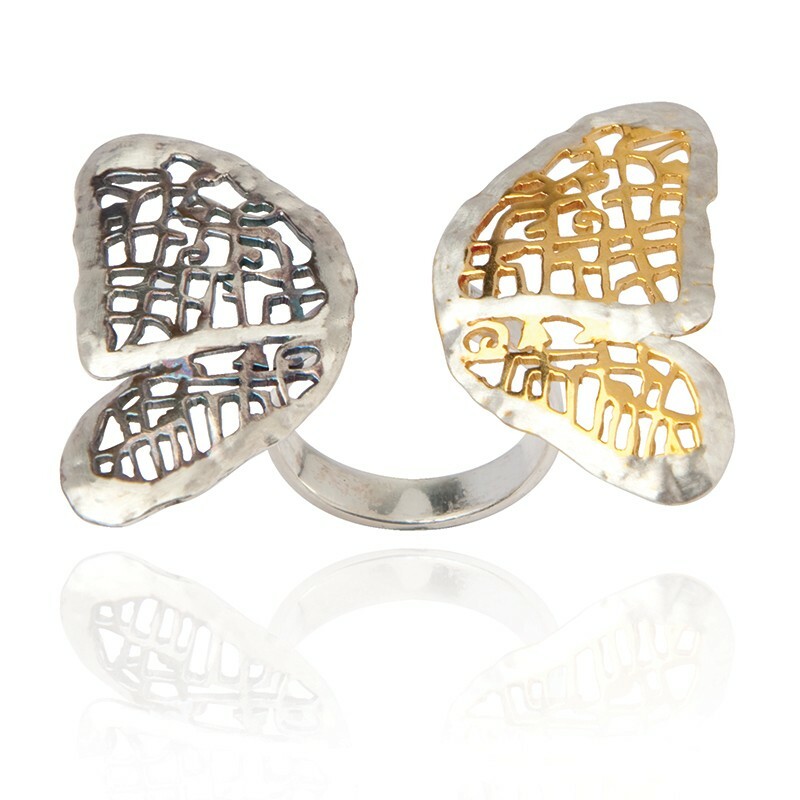 This super chic ring is handmade in sterling silver and finished with 18 k yellow gold and oxidation. Wear this feminine ring for a unique look. This super chic cuff, is handmade in sterling silver and finished with 18 K yellow gold plating and oxidation. Wear this feminine cuff with day or evening ensembles for a unique look. Handmade sterling silver butterfly earrings, hammered to perfection and finished with 18 K yellow gold plating along with oxidation. 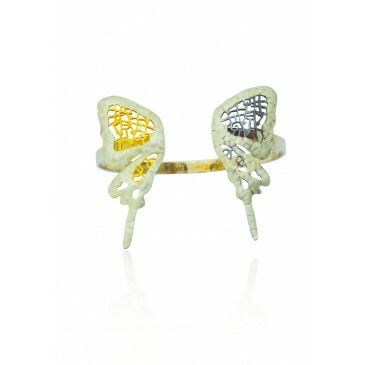 Pair it with our Flutter away Cuff to bring the perfect balance bewteen femininity and individuality. 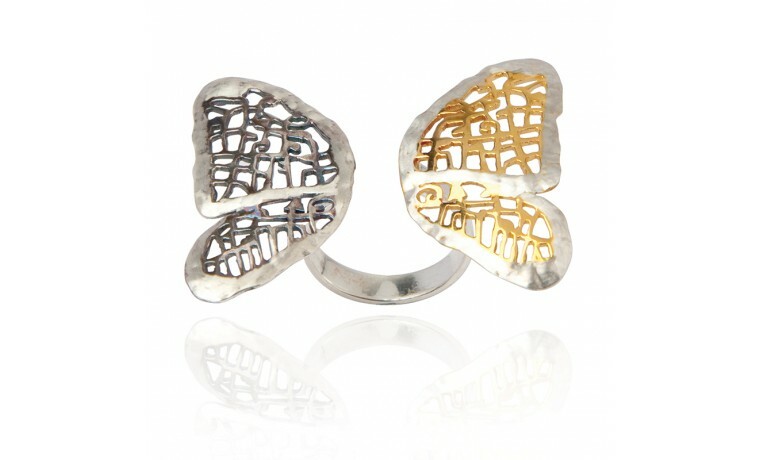 Handmade sterling silver butterfly and rose ring finished with 18 K yellow gold plating and oxidation. This ultra-feminine ring works beautifully with day or evening looks. 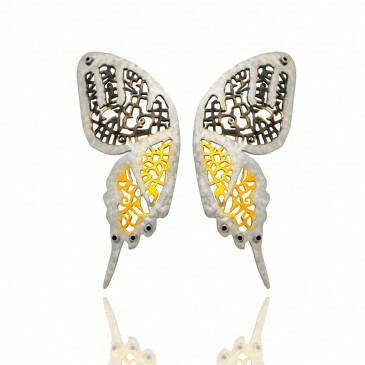 Pair it with our Flutter away earrings for a statement. This statement multi chain necklace, is handmade in sterling silver. Featuring a stenciled rose finished with 18 K yellow gold plating, fluttering wings, heart and set with sapphire and fresh-water pearls. 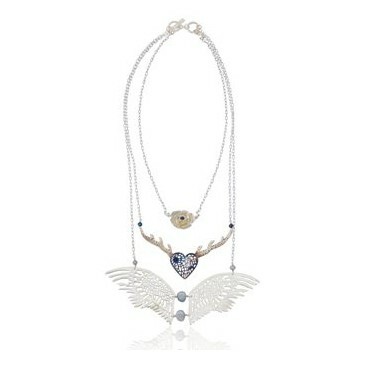 This necklace is designed with a triple chain to create an effortless layered effect. Wear it with your favorite t-shirt or evening dress. Length: 45 cm. Handmade in sterling silver, this adjustable upper finger claw ring, is designed to sit firmly between the top two knuckles. 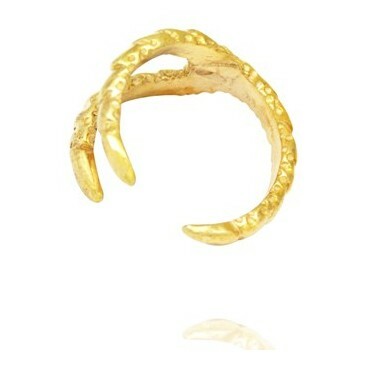 Combine with our 18 K yellow gold plated claw rings for a playful contrast. 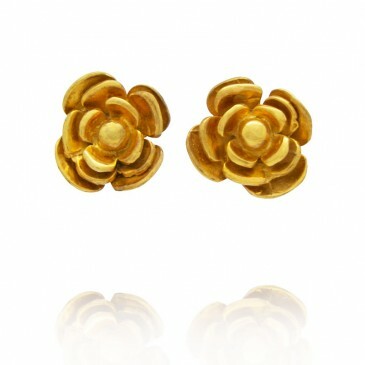 This super feminine rose earrings are handmade in sterling silver and finished with 18 K yellow gold plating. 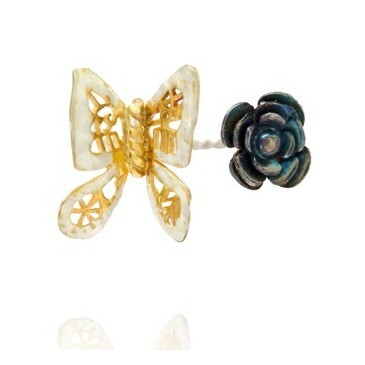 These rose stud earrings provide effortless beauty, perfect for a relaxed everyday look. 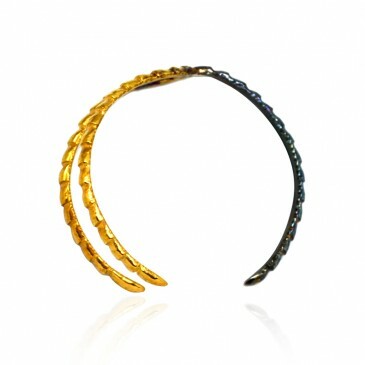 This two-tone claw bracelet is handmade in sterling silver and finished with oxidation and 18 K yellow gold plating. Wear this piece with our textured claw rings to add a subtle edge to casual looks. 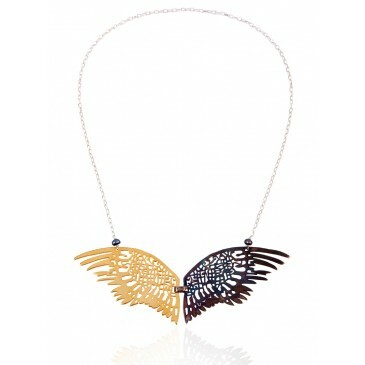 This two-tone winged chain necklace is handmade in sterling silverand finished with oxidation and 18 K yellow gold plating; set with black fresh-water pearls. Wear it to offset a simple top.